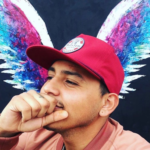 El Nuevo Sol, Univision, and the Dream Resource Center collaborate to feature stories from the Undocumented Stories exhibit. 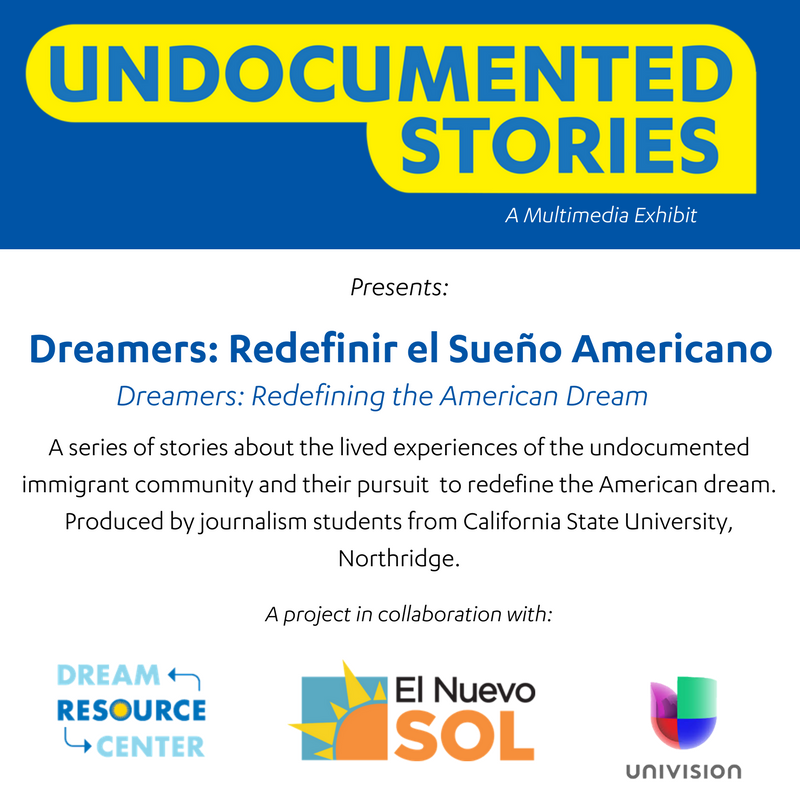 The project Dreamers: Redefining the American Dream, is a series of stories produced by California State University Northridge’s bilingual student-run publication El Nuevo Sol (ENS), in collaboration with Univision Radio and the Dream Resource Center (DRC), at the UCLA Labor Center. Many of the stories featured on the series come directly from the the Undocumented Stories multimedia exhibit, a project of the DRC that utilizes storytelling to uplift the lived experiences of the undocumented immigrant community and highlight how they have built a movement to change policies impacting higher education, access to healthcare, and deportation proceedings. 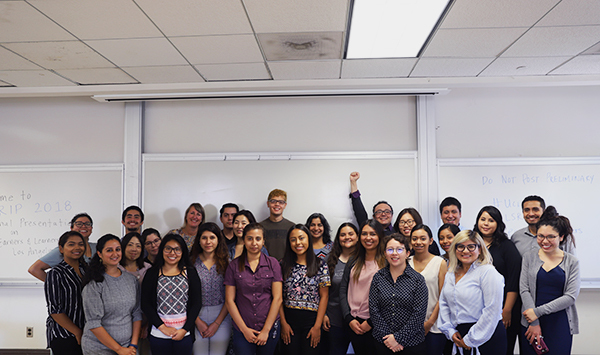 The collaboration comes at a pivotal time after seeing a need to reshape the narrative around immigration. 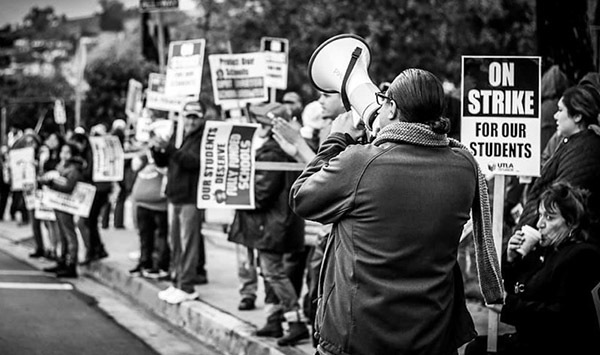 Undocumented communities are being criminalized and demonized by targeted negative rhetoric. 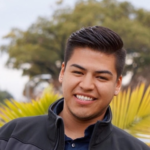 Now more than ever, it is important to share our stories in order to build support for undocumented people in our schools, workplaces, and communities. 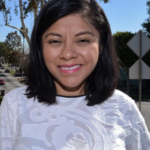 The series will air on Univision Radio and on ENS’s bilingual multimedia journalism platform Radio Nepantla, a podcast series that focuses on diverse narratives shared by the Latino community. The word “nepantla” comes from the indigenous language of Nahuatl meaning “an in-between space”. 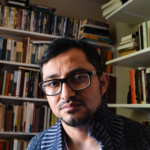 The “in-between space” refers to the unique experience of undocumented people having being born in a different country and living in the U.S. undocumented.